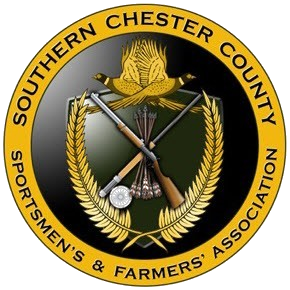 You may renew online in September by logging into your account on sccsfa.org. Online renewal reminder emails will be sent out via email in late mid Sept. If you do not receive an email your check your profile. You may have an out-of-date email address on your profile. If so, please update it. Further reminders will be sent. Your NRA membership may not meet requirements (as communicated in April & July 2017 and addressed in the 2nd & 3rd Q 2017 Newsletters) and will be so noted at the bottom of your profile page. If so, follow the instructions defined in the 3rd Q 2017 Newsletter. All renewing members must fill out the online liability waiver. All renewing members should upload a passport size/quality photo to their profile on sccsfa.org for security purposes. Please note that you MUST maintain an active NRA membership throughout the membership year to be a member of SCCSFA. Your number above will be checked against the NRA database, so please update your number if it is inaccurate or expired. You can renew your NRA membership online by clicking here. YOUR NRA MEMBERSHIP MUST BE VALID THROUGH THE ENTIRE TERM OF THE RENEWAL, which is Sept 30th of the next yea before you will be permitted to renew. If your membership expires mid-year you will need to add another year. We can no longer chase down people throughout the year to renew their NRA membership. Our membership committee will be sending your new membership card via US Postal Service once your payment has been processed. You can expect delivery of the new card within 10-14 days. We are all volunteer organization and have limited help. Members who opt not to renew, do not fulfill renewal obligations or who fail to make payment on outstanding invoices will lose their membership. Once a member is inactive due to non-payment they must reapply to join, attend orientation and complete the mentoring process, regardless of previous length of membership. When you receive the renewal reminder email, click on the link to reset your password. Once you have reset your password you will be able to log into the system and pay your invoice.